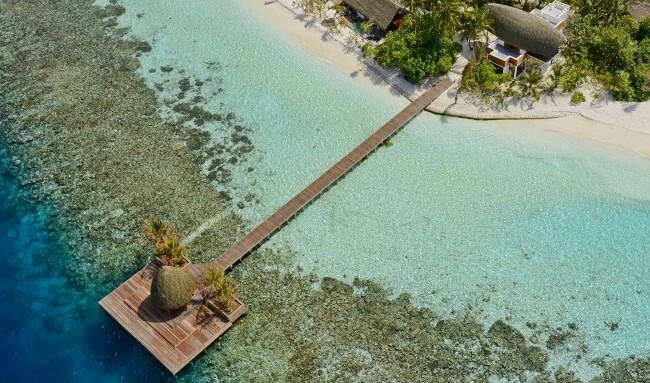 5 April 2016: The tiny coral island in the North Ari Atoll known as Kandolhu is now the second best resort in Maldives. 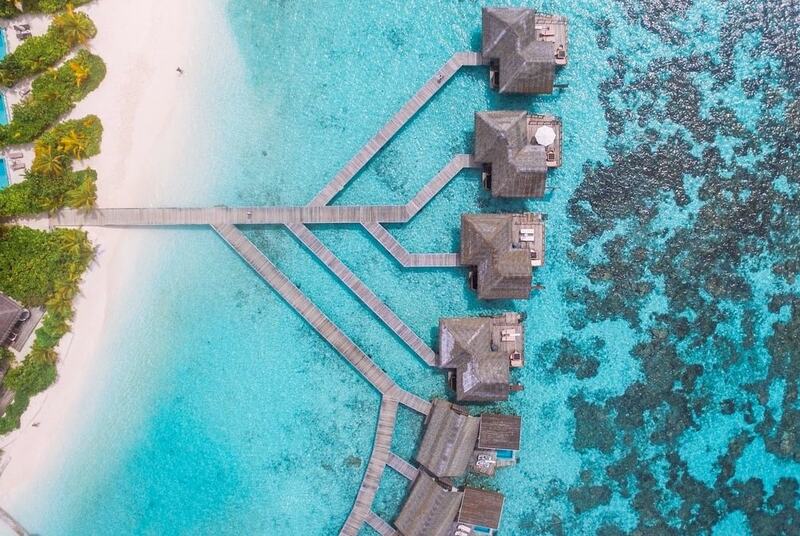 Computation of over 73,000 guest reviews on 130 different resorts indicates guests staying at Kandolhu receives hardly anything less than excellence. Maldives Finest ranking is based entirely on credible guest reviews and often go in line with Tripadvisor and other major review websites. 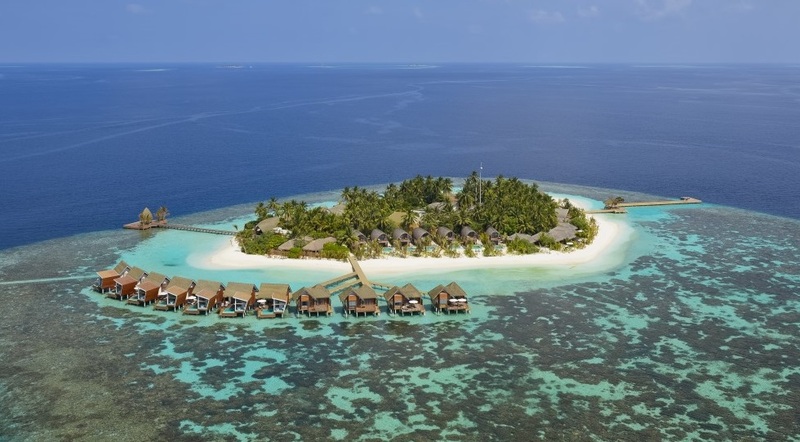 In 2015, Gili Lankanfushi Maldives was award the "best resort in the world" by Tripadvisor. Let’s take a look at some statistics of Tripadvisor for both Gili Lankanfushi and Kandolhu. Tripadvisor reviews (as on 5th April 2016) to Gili Lankanfushi and Kandolhu, shows a higher percentage of Excellent reviews to Kandolhu. The Maldives Top 10 itself being highly competitive, becoming #2 in Maldives is absolutely incredible achievement. 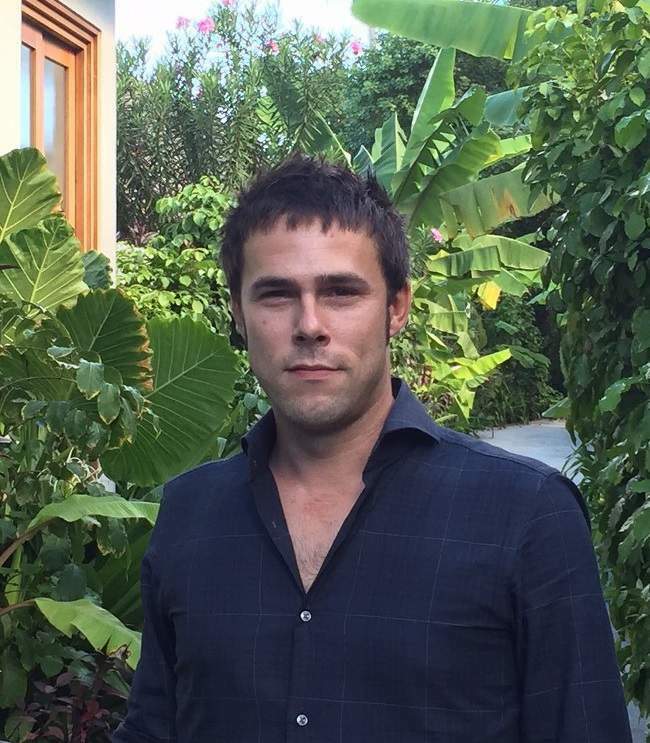 To witness this success, we decided to send one of our associates to the resort. A scenic seaplane flight kept me busy looking out through the window and snapping pictures for 25 minutes. A speed boat was waiting when we landed and a short ride took me to beautiful paradise. Before I could set foot on the island I could already see amazing landscape and beautiful villas. As soon I got on the island I was welcomed by the Resort Manager Marc LeBlanc and reception staff. A young Maldivian girl with a beautiful smile handed over a cold towel. There was no waiting, I walked cross the jetty and another girl served me a refreshing mango juice, the glass got a fresh orchid on it. The girl asked for pre-filled registration card which I did in the waiting lounge at seaplane terminal. I quickly handed over and was asked to follow her to my villa. As I tried to finish off welcome drink the Resort Manager suggested I could take it with me. Chilled mango juice was way too nice to sip while walking in the midday sun. While enjoying the drink I followed the girl through the narrow pathway which is green and shady with tall palm trees swaying over. In a few minute we reached my Ocean Villa and girl explained all facilities before wishing me a pleasant stay. The king size bed was very comfortable with high quality linen. There is a couch, dressing table, and a coffee table for two. When you open the curtains the sliding door leads you to open air terrace with sun loungers, day bed, and private dining area. 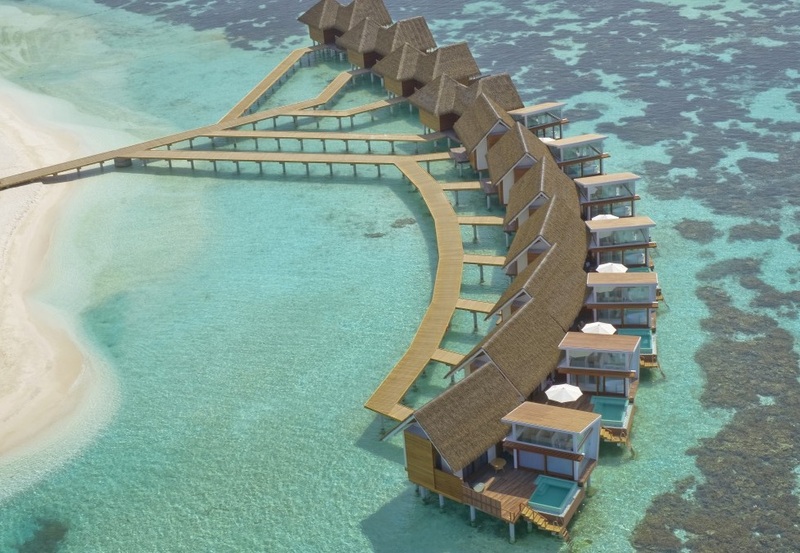 Ocean Villas and Ocean Pool Villas are positioned on the sunset side of the island. If you are on All Inclusive there is a huge collection of wines and snacks in the minibar which is part of the package. 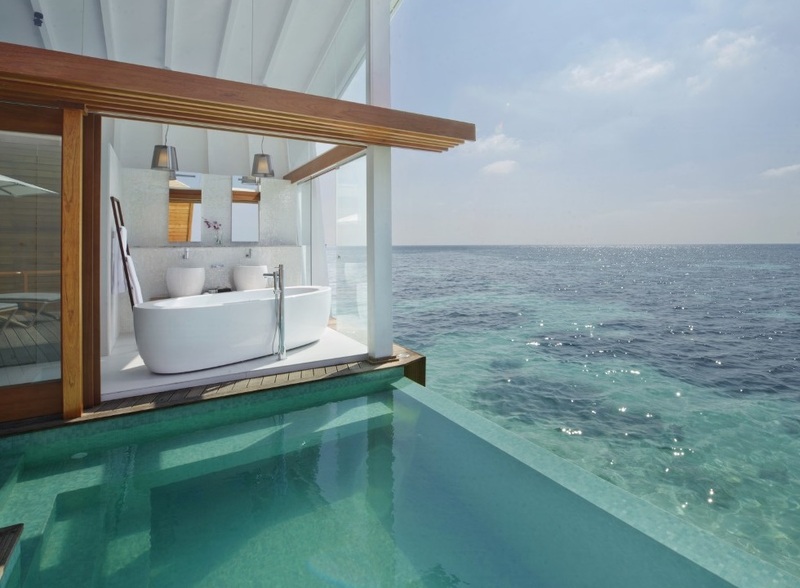 Take out the glasses in the next drawer and enjoy the sunset in the privacy of your villa. 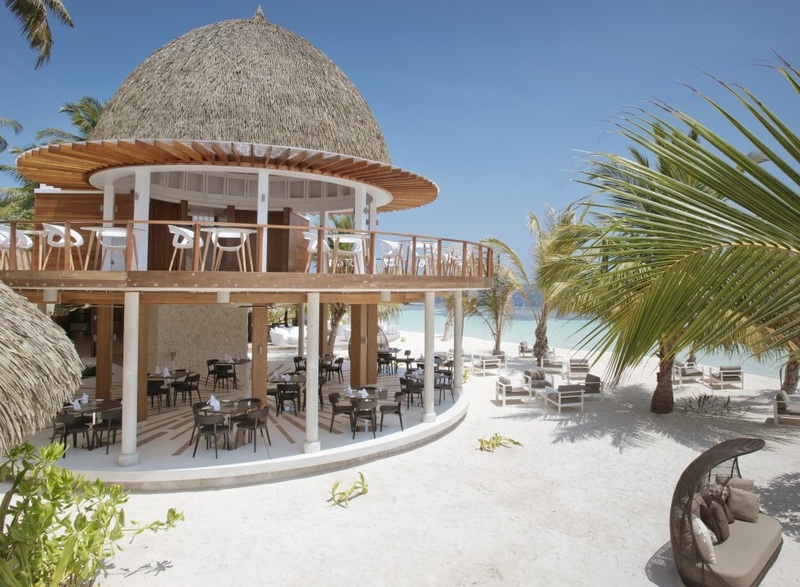 Kandolhu Island is still very new, it has only been about 2 years after re-opening as a 5 star luxury island. The cozy little island has long been regarded as the home to one of the best house reefs in Maldives. The turtles at Kandolhu are friendly, they are not scared of you and normally don't swim away. You could stay inches away and enjoy movements of this amazing creature. You are good as long as you don't touch or stand on marine lives including coral. You need to keep little distance for dangerous species of fish commonly found in the Maldives. I relaxed the whole afternoon and went out for dinner. The main restaurant serves a la carte menu. I flipped the pages and ordered a Maldivian Reef Fish. You could choose the type of marination, style of cooking and sauce you like. As I was enjoying my dinner, I could oversee the Teppanyaki restaurant. There were 8 - 10 guests occupying all seats. The chef was cooking and serving to the plates. All guests were staring at chef who demonstrated many magics while cooking the food. 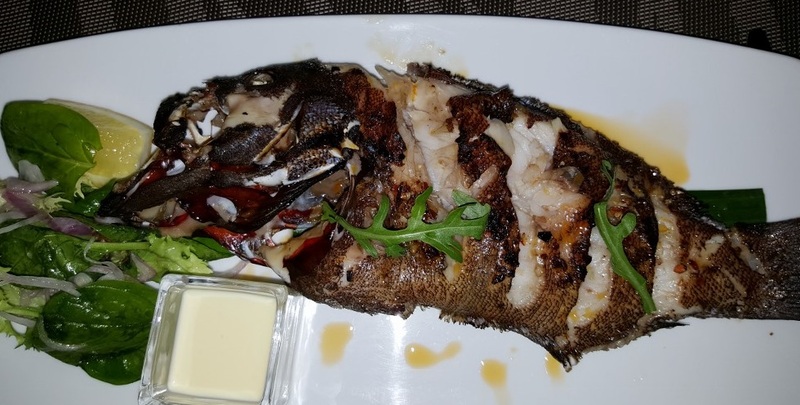 I enjoyed my whole fish grouper which is my favourite and went back to villa. Next day morning I woke up early and snapped some pictures before going for breakfast which too is a la carte. There was a mini buffet with pastries, fruits and some drinks. I picked a few and ordered Maldivian Traditional Breakfast and an omelet. I wanted to see all the different room types and Laura was kind enough arrange that for me. After breakfast I went to reception and went to see the rooms with her. Right after it was my departure. I truly enjoyed my time at Kandolhu. Thanks to Marc, Laura and rest of the team.